Hi Peggy, thank you for your question. 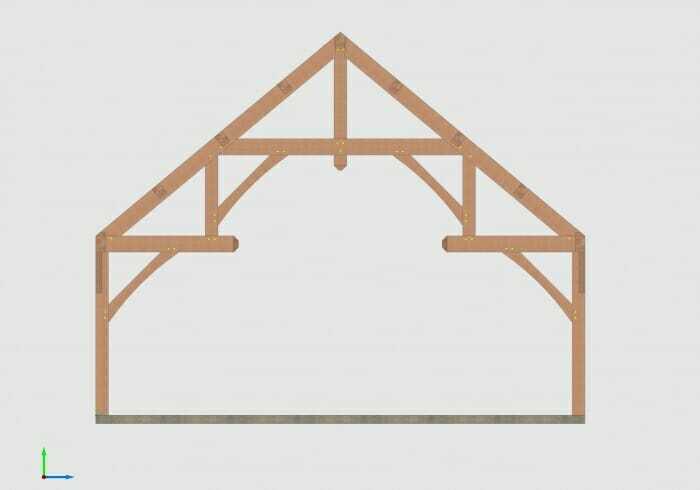 Unfortunately there is never a direct answer for questions of this nature, as there are limitless factors that influence the span and spacing of trusses. The wood species and local loads (snow) have a significant impacts, as well as the structure itself (span, roof pitch, rafters vs. purlins, etc.). That being said, heavy timber is often ordered in 2’ sections (i.e. 12’,14’,16’,18’), so we usually like to work with those spacings as the ctr-ctr spacings. If you have little snow and a smaller structure, you may be able to work with 18’ spacing, but we usually try to stay around 12, 14, or 16 foot spacings.